WISS cultivates healthy, balanced, confident and ethical people; striving to challenge and stimulate students to inquire, wonder, discover, and create each day. We aim to send into the world brave, compassionate, internationally minded global citizens with the skill and intellect to help shape the future. The IB defines the characteristics of students who are aware of and sensitive to the experiences of others. 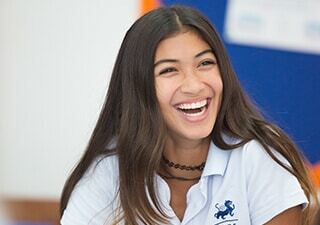 These create a profile of the IB student, which we strive to encourage in all our students and which help teachers and students to establish goals, plan units of inquiry, and assess performance. Inquirers: Their natural curiosity has been nurtured. They have acquired the skills necessary to conduct purposeful, constructive research. They actively enjoy learning, and their love of learning will be sustained throughout their lives. Thinkers: They exercise initiative in applying thinking skills critically and creatively to make sound decisions and to solve complex problems. Communicators: They receive and express ideas and information confidently in more than one language, including the language of mathematical symbols. Risk Takers: They approach unfamiliar situations without anxiety and have the confidence and independence of spirit to explore new roles, ideas and strategies. They are courageous and articulate in defending those things in which they believe. Knowledgeable: They have spent time in school exploring themes which have global relevance and importance. In doing so, they have acquired a critical mass of significant knowledge. Principled: They have a sound grasp of the principles of moral reasoning. They have integrity, honesty and a sense of fairness and justice. Caring: They show sensitivity towards the needs and feelings of others. They have a sense of personal commitment to action and service. Open Minded: They respect the views, values and traditions of other individuals and cultures, and they are accustomed to seeking and considering a range of points of view. Well Balanced: They understand the importance of physical and mental balance and personal well-being.